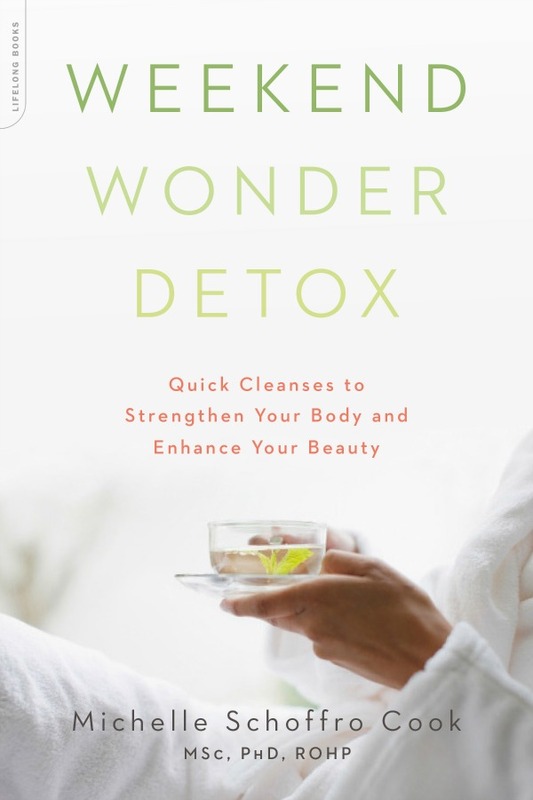 When I came across Weekend Wonder Detox on NetGalley, I didn’t know what to expect. As I started reading it, I was so taken up with the concept and the wealth of information contained in one book. I decided to contact the author, Dr Michelle Schoffro Cook, and she graciously agreed to do an interview on Everyday Gyaan. Detox regimens can be expensive, lengthy, and difficult to follow and often don’t deliver the results you want. Now, health expert and author Michelle Schoffro Cook offers a fresh approach to purifying your body: spa-style weekends to have you looking and feeling great in just days. Why detox? Is it a fad or a necessity? Detoxification is essential to life. Our bodies are exposed to inordinate amounts of toxins at this time in our history. At the same time our diet is more nutritionally depleted than ever before. These nutrients make up the building blocks of every cell, tissue, organ, and organ system in our bodies. Setting aside time to detoxify brings your attention back to your diet and your mental, physical, emotional, and spiritual well being so you can improve your life and your health. While there are many fad detoxes that can actually damage your body, I relied on proven foods, herbs, nutrients, exercises, spa therapies, and other natural approaches to detoxification to create the six different detoxes in Weekend Wonder Detox: Love Your Liver Weekend, Lymphoma Weekend, Kidney Flush Weekend, Colon Cleanse Weekend, Skin Rejuvenation Weekend, and Fat Blast Weekend. You can take a quiz to help you identify where your body is most in need of attention and detoxification. Then enjoy a spa-like weekend of healing the particular detoxification system most in need of a boost. I recently read a statement somewhere : Health is not the absence of illness. What do you think of this? Health is definitely not the absence of illness. Most people don’t realize that illness typically takes many years of poor dietary and lifestyle habits to develop. Even before the first symptom of illness ever rears its head, the body is attempting to address the onslaught of trans fats, excessive sugar, chemical food additives, nutrient-deficient foods, as well as toxins from plastics, pesticides, genetically-modified foods, smoking, scented products, and many others. Over time the body may simply not be able to keep up with the toxic burden. It is important to go beyond a lack of symptoms to attain health and happiness. Health is a vibrant state of being that goes far beyond the absence of symptoms. How does a person decide what detox program is suitable for them? There are many signs and symptoms that are clues into which detoxification system (liver, lymphatic, kidneys, intestines, skin, and fat stores) that may need special attention. The clues are insights that with a bit of detective work can lead us in the direction we need for our health. Over 23 years as a nutritionist and natural health professional I found that there these signs and symptoms can lead us to help heal our bodies at the source of the problem, rather than using drugs that act as a Band-Aid to cover up symptoms. I created a quiz in my book, Weekend Wonder Detox, which compiles the most common symptoms that indicate that our detox organs need support. You can simply take the quiz and it will give you insight into what your body needs. Then just follow the easy instructions for each of the weekend detoxes. Cleansing your body doesn’t have to be a huge chore or something to dread. It can actually be something to look forward to and a time of eating delicious foods and enjoying health-supporting therapies that get you back in touch with your body and help to heal your life. 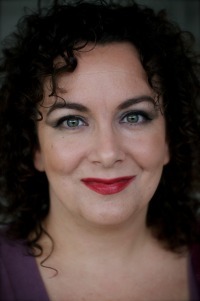 Michelle Schoffro Cook, MSc, PhD, RNCP, ROHP holds advanced degrees in natural health and holistic nutrition and has over two decades’ experience in the field. She is the author of sixteen books on health and wellness, including multiple international best-sellers: 60 Seconds to Slim (Rodale), The Ultimate pH Solution (HarperCollins), The 4-Week Ultimate Body Detox Plan, and many others. She is a popular blogger on Care2.com and HealthySurvivalist.com. Check out her work at http://www.DrMichelleCook.com and subscribe to her free e-magazine World’s Healthiest News on her website. This post is written for the letter ‘W’ for the Blogging From A to Z April Challenge 2014. Very interesting Corrine! Looks like a great book. I like the idea of ridding the body of toxins in a short time period. I ‘ll definitely check it out. Thanks for sharing this. Will definitely look it up as I know my body could do with a good round of detox. It is a fascinating book, Corinne! Great choice for W 🙂 We do need a solid detox now! Thanks for sharing the info about this book, it looks like it could be quite helpful. Hope your break is going well, Corinne 🙂 Take care.